Dr. Sugino is a family physician who has served the local and international community since 1985. During her years of practice, she has consistently provided the highest level of personalized and professional care. 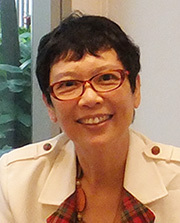 Dr Sugino is proficient in Japanese, English, Indonesian, Malay and Chinese (including the various dialects).